We expect CAD to outperform other commodity currencies. CAD is not as vulnerable as MXN to trade protectionism given a prior free trade agreement which would take effect if the US backs out of NAFTA, though this remains a risk. However, a better US economic outlook (from other policies like fiscal stimulus) should benefit Canada. However, this week's BoC meeting is a key risk; the markets are pricing in a relatively hawkish path for the Bank which they may pushback on given the mixed data overall in Canada. Recent trade data and the 4Q business outlook survey were better than expected, but core inflation has decelerated and growth remains challenged. At the end of the day, we expect the BoC to adopt a neutral tone and emphasize a wait and see approach. But we do see dips in CAD from a more dovish BoC, and we see them as opportunities to buy. CIBC: On Hold: USD/CAD Oversold. In Canada, the BoC will leave interest rates on hold and likely also make few changes to its economic outlook. Even though recent readings on trade and employment have been encouraging, they were only enough to bring our tracking forecast for Q4 GDP back to the Bank’s 1.5%. With few firms reporting “concrete effects” from the US elections on their sales expectations, the Bank’s Business Outlook survey did little to clarify their view of what President-elect Trump will mean for Canada...We argued yesterday that the BoC are unlikely be unconcerned by the current value of the currency. However, should we decisively breach and close below 1.30, we have not closed below the level since early September, this would risk the topic of the currency moving up the agenda in the BoC’s MPR press briefing tomorrow. While investors may continue to moderate USD long positions into the Presidential inauguration, USD CAD looks increasingly oversold near recent 1.3030 lows. BNPP: On Hold: Staying Long USD/CAD via Options. The market is currently pricing in unchanged policy by the Bank of Canada (BoC) at its meeting on Wednesday. Even with policy unchanged, we expect continued policy divergence between the BoC and the Federal Reserve to drive USDCAD up. Meanwhile, we see limited room for oil prices to rise further although we no longer expect a retreat below WTI USD 50bbl. We are positioned for a modest rise in USDCAD via a USDCAD 1.34/1.36 call spread which expires on 7 March. Credit Agricole: On Hold: Roughly Balanced, Neutral For USD/CAD. The Bank of Canada will have its first policy announcement for 2017 on Wednesday, accompanied by the quarterly Monetary Policy Report (MPR). The BoC surprised in early December by omitting to describe the balance of risks to the economy but they are likely to do so next week on the basis of the new staff forecasts. The main question is whether a stronger outlook for US growth will meaningfully factor into the new forecasts, thus finally putting a lid on any near-term easing prospects and bringing forward the date when the BoC may start tightening policy. As we saw in the latest business outlook survey some Canadian firms are already feeling more optimistic about growth and this may be reflected in a slight upgrade to the BoC’s GDP forecasts. However, the negative output gap is likely to persist into 2018, suggesting little immediate impact on inflation. 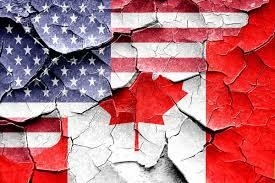 Furthermore, there is the flip side to the changing US policy landscape due to rising risk of US trade protectionism, which could hurt Canadian exports. Last but not least, growth expectations could be tempered due to tightening financial conditions via higher interest rates as the BoC already highlighted in December. The bottom line is that we expect the BoC to bring back the ‘roughly balanced’ assessment of the balance of risks next week, suggesting no policy moves are likely in 2017. A more substantial update to the outlook is likely at the time of the April MPR once some of the policy action of the new US administration is in place. We expect the BoC to have a fairly neutral impact on USD/CAD, which should remain primarily driven by the broader USD trends. RBS: On Hold: Fade Any CAD Hawkish Reaction. We expect the Bank of Canada (BoC) to leave the benchmark overnight rate steady at 0.5% at the January meeting. We have long felt that the risks of outright easing in Canada are underpriced. While we still feel that market pricing of a 50% probability of a Bank of Canada rate hike in 2017 is offside, the most recent economic indicators relating to trade and business investment were stronger than expected, and for now are consistent with the Bank of Canada maintaining its current stance. The January meeting will be accompanied by a new Monetary Policy Report and a press conference by BoC Governor Poloz. With the market pricing in essentially no change in rates already, any market reaction will likely be due to any change in the tone of the report. We anticipate slightly more constructive language on the global growth picture and on trade and investment, given the latest data. But, as the Bank did in the December statement, we expect the BoC statement to lean against the increase in short-term interest rates that has come alongside a similar tightening in the US and may reference softer inflation data, still persistent labor market slack, and new macro prudential measures. As a result, the message may come off as mixed. We would prefer to fade any hawkish reaction given our still bearish CAD view. RBC: On Hold: No Surprise From BoC, CAD Positive. We are not expecting any major surprises from the BoC (Wed), with rates unchanged along with most key elements of their economic forecasts. Markets will focus on the press conference and the characterization of the risks around the forecasts. Our economists look for the Bank to highlight the large degree of slack still in the economy, pushing against the idea of higher rates for now. But any sign of optimism from the BoC would reinforce the CAD-positive mood from recent upside data surprises. TD: BoC On Hold: Risk-Reward Attractive For New Longs. The focus this week turns to the BoC meeting on Wednesday. The bank is likely to keep the policy rate unchanged but concerns about weaker inflation could offset constructive news on the growth front. A reaffirmation of the BoC’s cautious tone is unlikely to offer much support to CAD, especially since OIS rates have priced in a modest chance of a hike this year. We demur and think the market is mispricing the chance of a hike this year. Instead, we expect the BoC to hold fire in 2017 and 2018 and lean more towards a cut than a hike over the next year. At the same time, we also note that USDCAD looks cheap to our high frequency fair value model. The pair pierced below the 2SD threshold for the first time since June 2016, increasing the scope for a bounce in the near-term. The USD squeeze could extend the valuation gap in USDCAD but these levels offer good risk/reward for new longs. Barclays: On Hold: We Stay Structurally Bearish On CAD. CAD started 2017 with a positive tone, as the December employment report (+53.7k), merchandise trade (first trade surplus since 2014) and PMIs surprised to the upside following a string of poor data into year-end, suggesting a slightly better Q4 16. The loonie has been supported by a shift in market expectations, as a more positive outlook for the US and stable oil prices are tailwinds for the Canadian economy. Although we and the market expect the BoC to stay on the sidelines this year, pricing suggests a shift from easing as the most likely next move to a rate hike as most probable in 2018 (Figure 8). We are bearish on the CAD, however, as the economy continues to adjust to the oil shock, amid disappointing activity, low inflation and diverging monetary policy, coupled with uncertainty regarding economic policy in the US, including a possible renegotiation to NAFTA and restrictions to trade. Goldman Sachs: On Hold: With A Dovish Tilt. Data since the October Monetary Policy Report have been better than the BoC expected, and business sentiment has improved. We and consensus therefore expect the Bank to remain on hold, while emphasizing the significant slack remaining in the economy. NAB: On Hold: BoC Happy To Stand Pat. The BoC meets on Wednesday this week ahead of Trump’s inauguration speech on Friday. An improved growth outlook for the US should be beneficial for Canada’s exports, meanwhile the stabilisation in oil prices should help business investment and government spending should also contribute to growth. Hence the BoC should be happy to stand pat for now especially given uncertainties surrounding Trump’s trade policies.